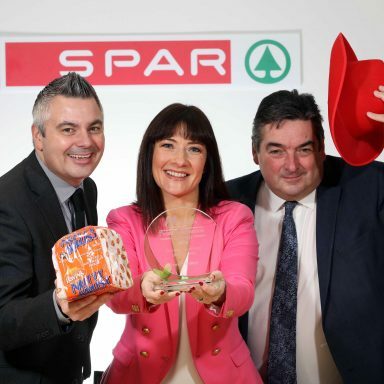 A wave of red is rolling into Balmoral Park as SPAR brings back its fundraising cowboy hats for the second year at the 150th Balmoral Show this May. 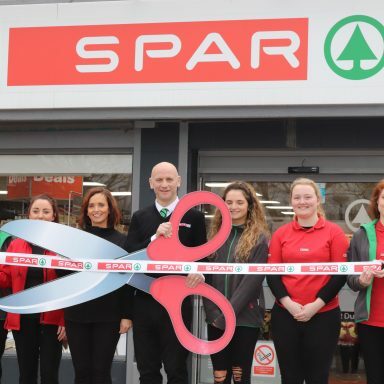 SPAR in Northern Ireland is celebrating its eighth year of platinum sponsorship at the Balmoral Show and is creating their biggest presence at the Show yet. As the biggest agri event in the Northern Ireland calendar, SPAR will be laying down its local roots to create a fun-filled, action packed four days of activity within its enjoy local marquee where visitors can grab their SPAR Stetsons for a charitable donation to Marie Curie, as well as the popular SPAR shop and SPAR Arena. The enjoy local marquee, which has been part of the Show for four years now, will be even bigger for 2018. 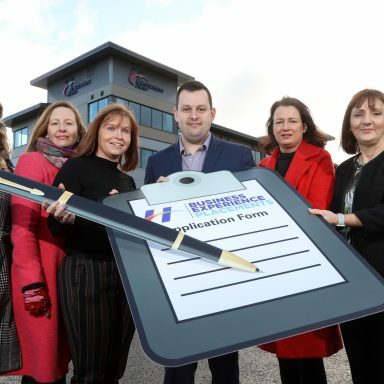 It will be the base for a series of engaging and educational activities, including a role play SPAR shop for the kids, and a sensory workshop from the Ulster University’s FACT (Food and Consumer Testing) Suite where visitors can find out why they hate Brussell Sprouts but love chocolate. Dr Amy Burns from the University’s FACT Suite is pivotal in ensuring a majority of SPAR and EUROSPAR’s own brand fresh products get the green light from a team of taste testers, and now it will be the turn of Show goers to take on the important role. The Belfast Giants will be back at the Show this year, swapping the ice for the fields as they get ready to take on visitors to the marquee for a special puck drop and shoot out. The marquee will even have W5 scientists in residence where Show goers can learn about chemistry experiments to enjoy in the kitchen and lots more science tricks. The Northern Ireland Ambulance Service will also be holding CPR and Defibrillator training in line with SPAR’s Heart of our Community campaign which has seen over 200 defibrillators installed outside SPAR, EUROSPAR and ViVO branded stores across Northern Ireland in the past three years. Bronagh Luke, Head of Corporate Marketing commented on the importance of the training taking place at the Show; “We have had a productive partnership with NIAS since before we launched our defibrillator campaign, and we are delighted to welcome them to our enjoy local marquee to train as many visitors as possible in the importance of CPR and AED (Automated External Defibrillator) use as many are often reluctant to get involved in performing CPR and using a defibrillator due to a lack of knowledge and confidence. Bronagh continued; “SPAR’s presence at Balmoral Show is important as the heart of our brand is local. Through our fresh lines, networks and distributions, we support local farmers, local food producers and local people with employment opportunities, not to mention ensuring local communities have essential services at hand, such as Post Office, a vital community service we ensure is increasingly more available throughout our network of stores. “Many of our local suppliers will be on hand at the enjoy local marquee to showcase and offer visitors samples of our mouth-watering enjoy local SPAR brand products, and our brand ambassador, chef Paula McIntyre will be cooking up a feast for visitors to enjoy. Henderson Group will also celebrate its local food suppliers, farmers and growers through their annual awards ceremony which has been revamped for 2018. 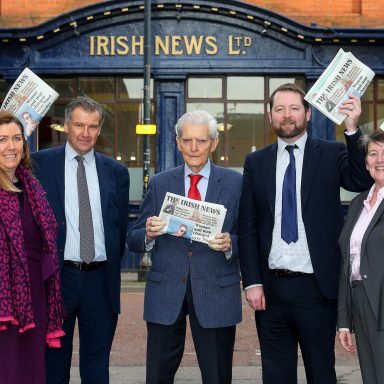 The Fresh Innovation Awards and Breakfast will take place on Friday 18 May and will reward the Group’s fresh suppliers through categories including Excellence in Product Innovation, Young Agri-food Innovator and Contribution to the Agri-Food Industry in Northern Ireland. The 150th Balmoral Show takes place from Wednesday 16 – Saturday 19 May at the Balmoral Showgrounds in the Eikon Centre. For more information, visit www.balmoralshow.co.uk and spar-ni.co.uk.